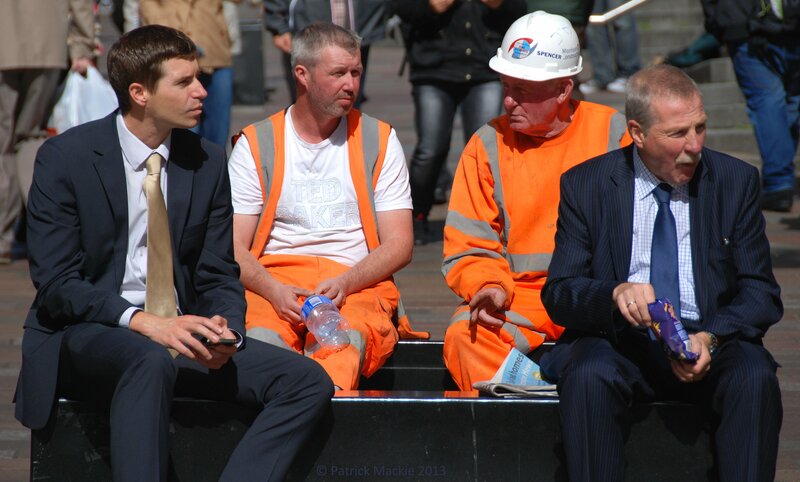 Candid or street photography isn’t really my thing, but I saw this group of men eating their lunches in Buchanan Street, Glasgow today and couldn’t resist. This entry was tagged Glasgow, photography, street photography. Bookmark the permalink.